Come to the Map Room and travel the world. The collection has cartographic and reference materials in a variety of formats that cover the entire Earth. The Library's Map Room is the location for cartographic materials in a variety of formats. With a collection of over 200,000 sheet maps, 5000 atlases, 80,000 aerial photos, and 50,000 maps in microform, the map collection also has an expanding collection of maps in a digital format. The Map Room also has a collection of Sanborn fire insurance atlases, along with a teaching collection of globes and wall maps and has an extensive reference collection of gazetteers, place-name guides, geographical dictionaries, encyclopedias, bibliographies, directories, and guide-books. The Map Room has four large worktables for patrons to use. Paper or digital copies of maps from microforms can be made from self-serve microform reader scanner/printers on the 3rd floor of Bird Library. The maps, atlases and other cartographic materials are cataloged in the Classic Catalog or in SUMMON. A member of the staff will be glad to assist you with any questions you may have regarding the collections or finding the materials you need. Most maps can be circulated or checked out at the Maps/Documents Service Desk on the 3rd floor. A valid SU or SUNY-ESF ID is required. Atlases, Reference titles, and aerial photographs do not circulate. Please look for the map of the floor plan of the Map Room when you enter the collection where the various collections are located and a complete list of items that circulate. The map room is open the same hours as the third floor service desk. 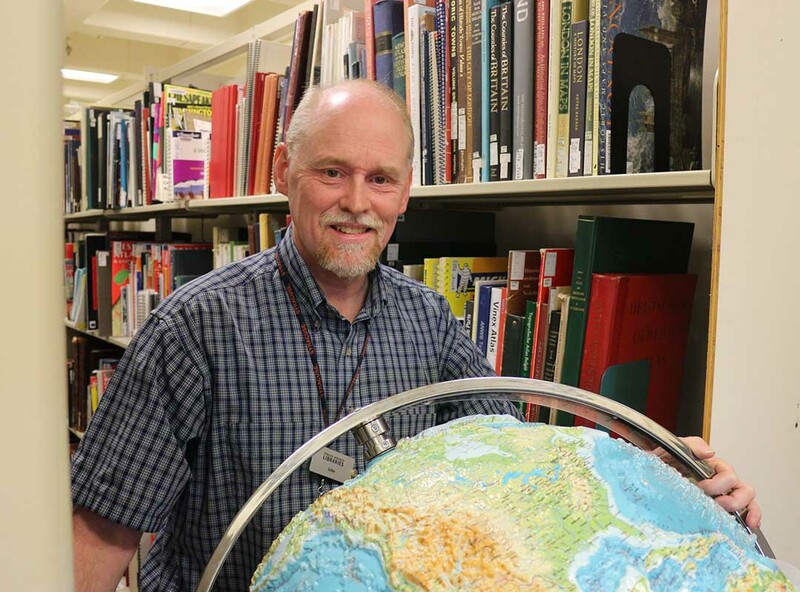 New and exciting maps, atlases and geospatial data available in the map room or from the Maps & Cartography resources guide. Released on January 18th, the NYS GIS Clearinghouse has made available the digital air photos for all of Onondaga County and the city of Syracuse. Just released for free download. The New York State GIS Clearinghouse has just released six inch/pixel digital aerial photography for all five Boroughs of New York City. The Syracuse City Zoning Office now has its ZONING atlas online. The atlas is in 27 sheets, each are in a .PDF format and the sheets are 34" by 44". Each sheet has a notice of when it was last updated.